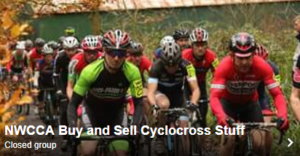 Set in 178 acres of stunning countryside Waddow Hall provides a fantastic venue for the CSP CX race day. With ample parking, children’s play area, changing and showers for both male & female we think we have the ingredients for great days racing. There will be a designated bike wash area complete with water supply, no power washers will be allowed in the pit area. The wash area is very close by and must be used. Once again we have the support of Hope. Go Velo, Physio Fusion, Going Dutch and new to the sponsors this year are C K Images, SIS and The Green Jersey who will be showing the new range of Ridley Bikes. Many thanks to all the sponsors for helping us make this a great event. Racing kicks off in style with the first Ladies only race at 10.00am, sponsored by C K Images this will be a 40 minute race and a great introduction to cx racing, make sure you are there to cheer the ladies round the course. The course will test your skills and fitness, offering a little something for everyone, there will be lots of space for overtaking and plenty of good vantage points to cheer your rider on. There will be bacon & sausage butties, hot soup, jacket potatoes, tea & coffee, sweets & crisps all served with a smile by the Waddow staff so make a day of it and watch the racing scoffing butties.